This fall, I have the pleasure of working with a handful of fifth- and sixth-grade boys on a Boy Scout course entitled “God and Church.” The course focuses on who Jesus is, what the church is about, and how we can plug in to the life and ministry of the church through worship and service. So far, I have really enjoyed the time I’ve been able to spend with these boys and their parents on a weekly basis! That question made me stop and think for a while. We often talk about how Jesus was tempted in every way, like we are, but never sinned (Hebrews 4:15). We remember how Jesus was tempted by Satan in the wilderness (Matthew 4:1-11). We remember how Jesus had real human emotions like anger (John 2:12-22), sorrow (John 11:32-37), love (Mark 10:17-21), and many others. But was Jesus ever bullied? 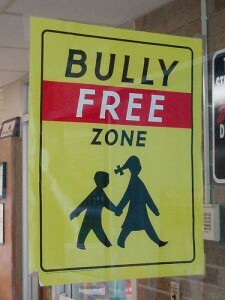 “Was Jesus ever bullied?” I think the answer is “absolutely, yes” – even if bullying looks slightly different today. Many young people today are bullied in school and in other places, for many kinds of reasons. This is an awful truth, and we as people of faith must stand up against bullies on behalf of the children in our community. Jesus understands that terrible experience, too, on a personal level. What’s more, he shows us all how we should respond: by trusting in God, by remembering the truth about who we are as God’s children, and by relying on his strength for every day’s challenges.